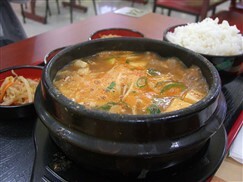 Doenjang-jjigae is a staple in Korean cuisine. It is regarded as a Korean representative dish along with Kimchi jjigae. Recipes for the dish have been passed down along generations and it is regarded as the ultimate comfort food by some. Doenjang is a paste of fermented soybean usually homemade but can be purchased from Korean grocery stores. Doenjang is the source of the name ‘Doenjang Girl', which means a woman who eats cheap food at home so she can drink expensive coffee in public. 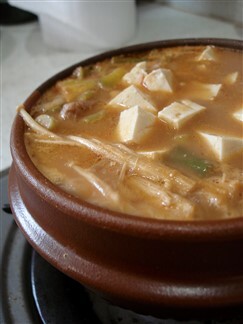 Doenjang-jjigae should be made in a ddukbaegi (Korean earthenware pot) if it is available to improve taste. It is made with Doenjang, zucchinis, onions, scallion, mushrooms, tofu or seafood or beef. 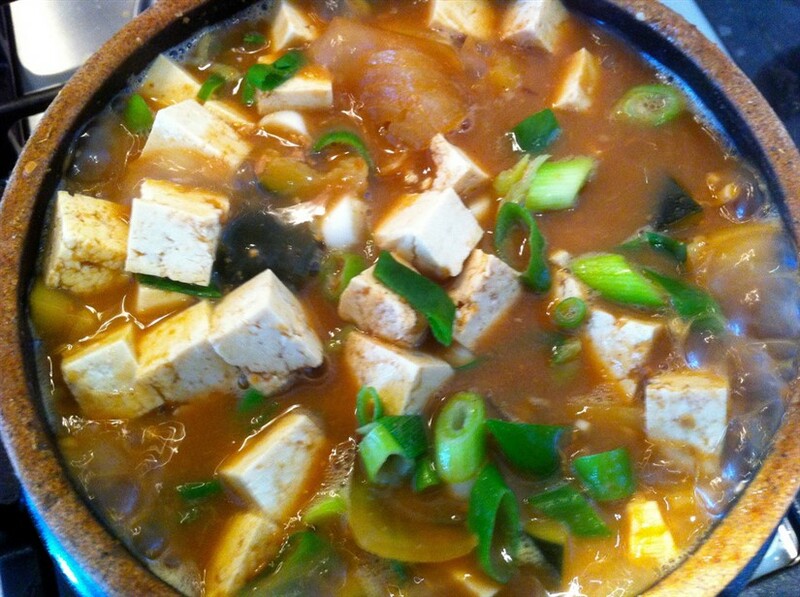 The taste of Doenjang-jjigae is determined by thequality of the Doenjang and how long it fermented before usage. Serve with rice while hot. It can also be mixed together with barley rice, vegetablesalad and hot pepper paste. Doenjang-jjigae is also a great complement formeat-based and fish-based dishes like grilled fish, Bulgogi or galbi. This is my all time favorite dish. Perfect in winter, lovely in summer, and great with a bowl of rice for lunch. I honestly could eat this every single day.